Before 2010, I used a rag tag mix of incandescent strings and bud lights as well as “new fangled” LED strings. In the early days, they pretty much all ran from the plug packs they came with. Later on I made a big chassis that sat in my ceiling space. It had multiple toroidal transformers and lighting transformers. 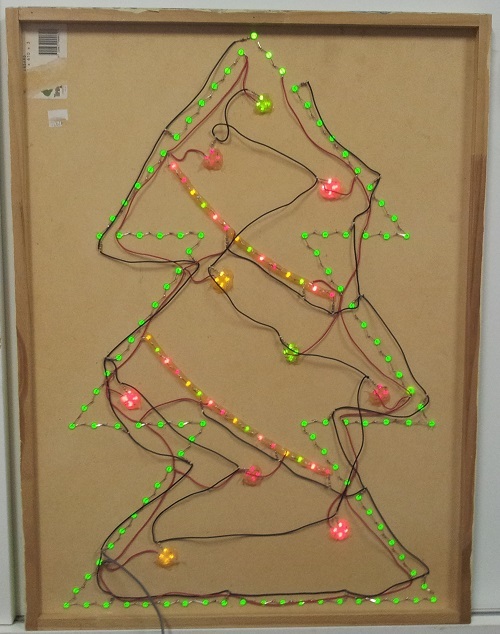 I made this tree on a board somewhere circa 2000. 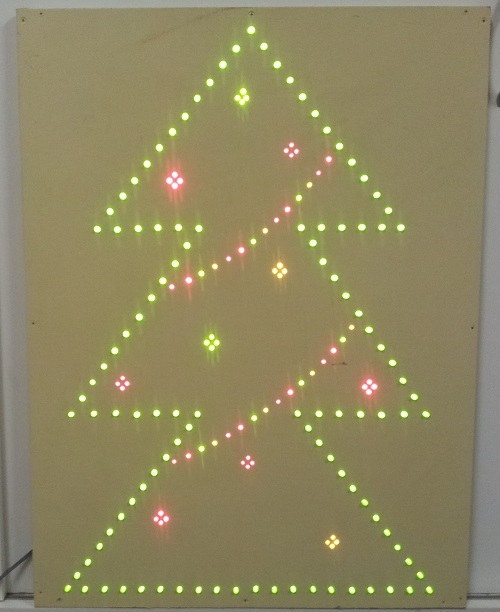 It had 5mm and 3mm LEDs of various colours, run from a 12V plug pack. We used to put this in the front window of our house. Good old point-to-point wiring with a dash of hot melt glue!